I didn't really think I was a fan of rap, but I have to say that I'm diggin' this Mega Man 9 themed rap opera by Random (aka Mega Ran), "Mega Ran 9". Each song tells part of the story of the game using sounds and music samples from the game's already awesome soundtrack and all original rhymes and lyrics. Personally, my favorite tracks on the album are the first three, The Opening, 8 is Enough, and Splash Woman. And also the instrumental MegaLude 9. I appreciated that the 8-bit influence from the original soundtrack gave most of the tracks more melody than the repetitive beats I typically expect from rap music. Also, the lyrics are surprisingly well written, not vulgar, and manage to tell a story where there hardly even was one before. 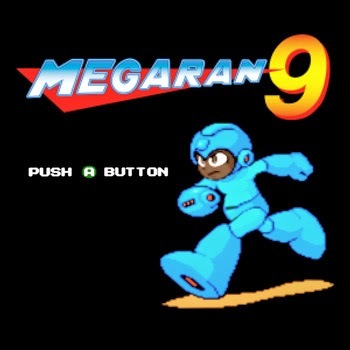 If you're a Mega Man fan, game music fan, or rap fan, check out Mega Ran 9 below or on Bandcamp. Also, if you like this, you might also like Random's other albums. Thanks to reader, William T., for suggesting this FTW post! Craving more music? How about these super good puzzle game soundtracks?